Great cuts from the old school – pulled together from the earliest days of hip hop – at a time when the boundary lines in the music weren't so fully formed! 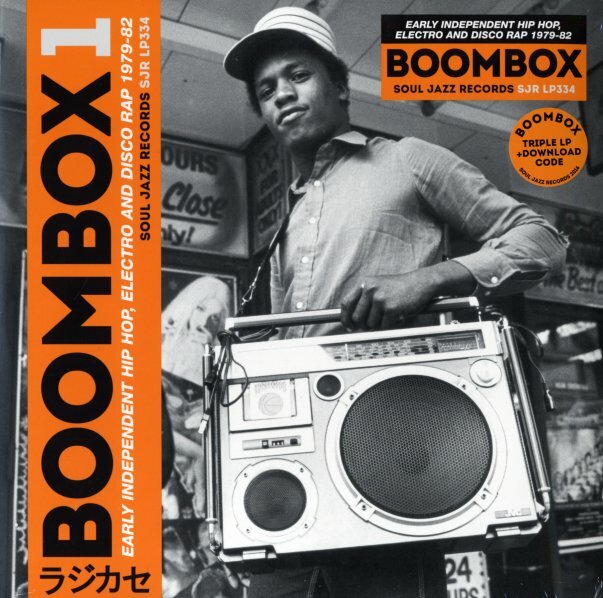 These days, the difference between hip hop and club cuts is huge – but back in the South Bronx scene at the start, there was a lot more interplay between styles – as 70s funk served as the blueprint, disco singles expanded the format, soul vocals gave some structure, and live rhymes and DJ work provided all of the spontaneous elements that made the music so unique – coming together with amazing energy that really reflected the street-level sounds of the New York scene! This ultra-hip collection brings together all those amazing strands from the early years – in a set that's one of the best historically important Soul Jazz titles we've seen in years – from the excellent track selection right down to the very detailed notes. There's plenty of rare cuts here you're not likely to have in your collection – and titles include "Body Rock" by Neil B, "Positive Life" by Love Bug Starski & The Harlem World Crew, "At The Place To Be" by Mr Sweety G, "New Rap Language" by Spoonie G & The Treacherous Three, "We Are People Too" by Master Jay, "Equidity Funk" by Mistafide, "And You Know That" by TJ Swan, "Searching Rap" by Bon Rock & The Rhythm Rebellion, "Willie Rap" by Willie Wood & The Willie Wood Crew, "Rhythm Rap Rock" by Count Coolout, "On The Go" by Black Bird & Kevski, "Philosophy Rappin Spree" by Super 3, "Move Your Body" by Bramsam, and "One More Time" by Sugar Daddy. © 1996-2019, Dusty Groove, Inc.